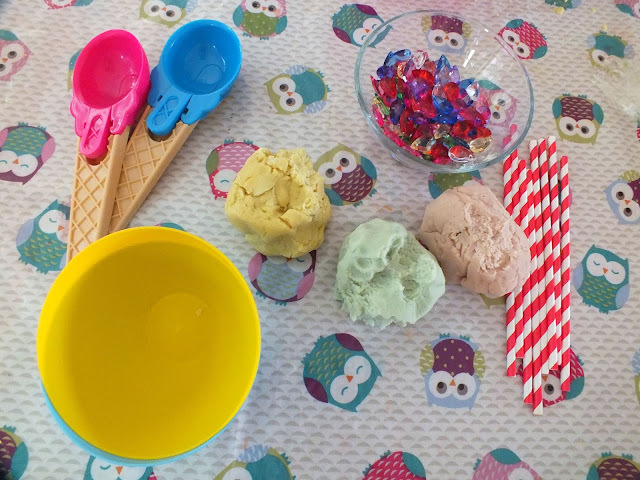 from a whisper to a roar: Summer activity - Ice cream and cookie playdough! Oh, wait. We live in England! 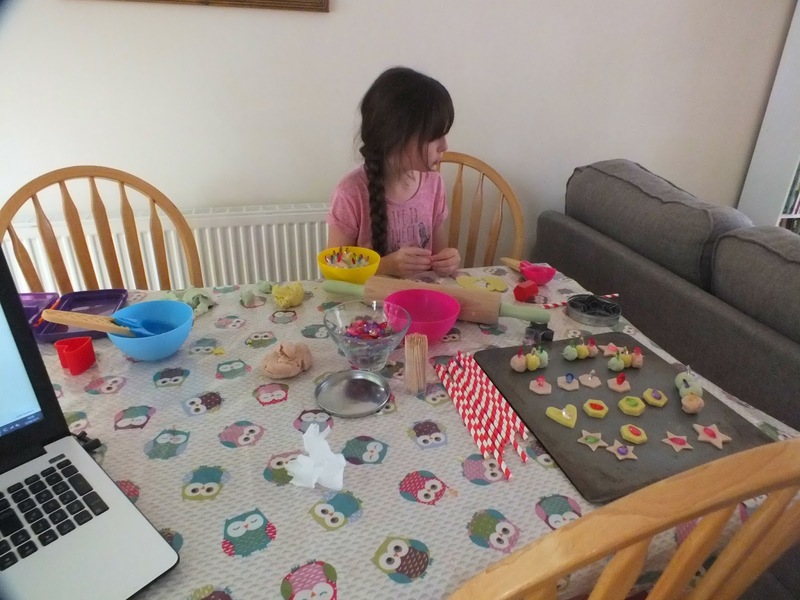 If, like me, you are in charge of small restless people that need constant exercise and demand to go to the park/beach every five minutes even when it's obviously chucking it down outside, I have a few ideas for things to keep them occupied. Because when you have a kid, something screen-free that keeps them from climbing the walls = treasure greater than the finest diamonds. 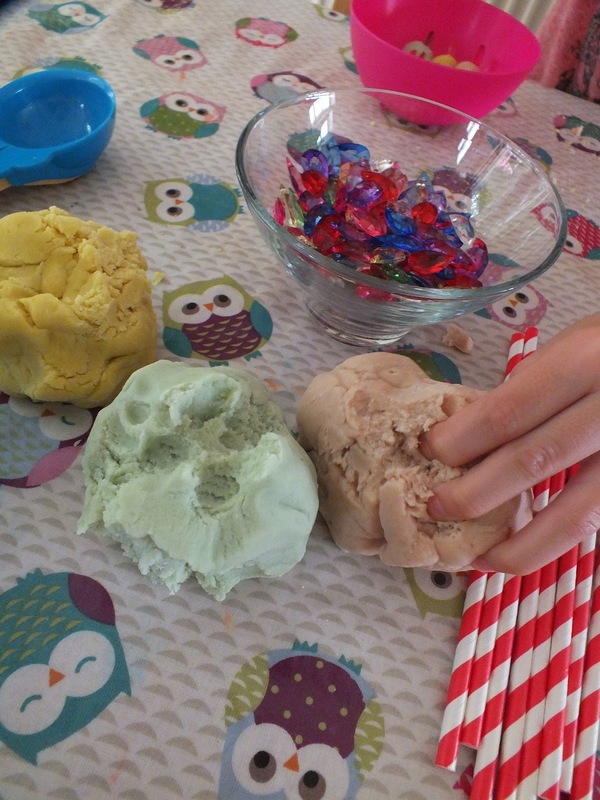 So I had the idea that I would make some nice smelling playdough and use the ice cream scoops I bought for mega-cheap on sale in Sainsbury's the other day, and that we could maybe pretend that we were making ice cream. And then I found these little sparkly jewel things in Store 21 and thought, well, there you go - sprinkles! I also imagined I'd set up a small table in the garden and that my daughter and niece could play out there on a warm summers' day, but in fact, we are inside and my toddler has a horrific cold (and has probably dripped a bit of snot in the playdough). So there we are. 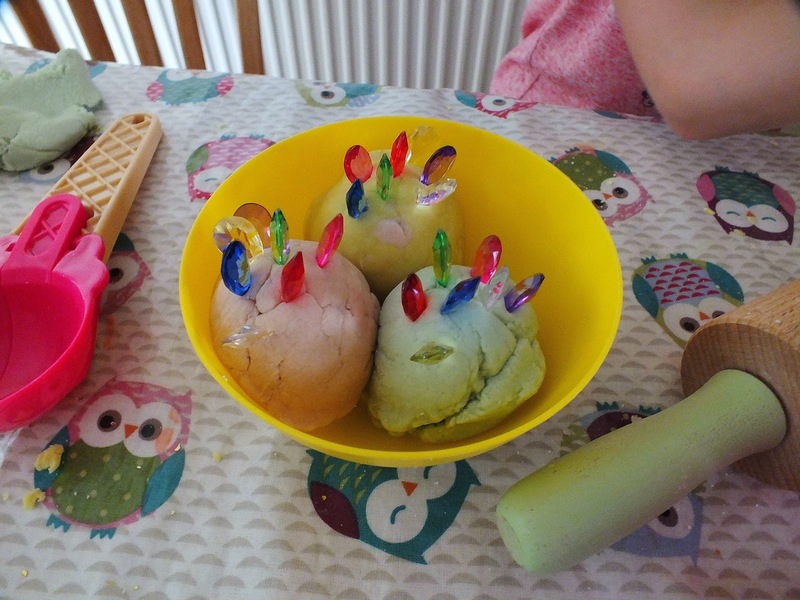 I think with activities like this it's all about the presentation. Something about a bowl of (ridiculously cheap) sparkly plastic, a bunch of stripy straws and some spoons really captured my niece's imagination, whereas if I had just given her playdough I don't think it would have sustained her interest for so long. Unfortunately Jellybean became so uncontrollably snotty (and had a bit of a temperature) that I decided to let her loll on the sofa and watch Spirited Away again after a few minutes of squishing. And within about five minutes of it being on, my niece went from disinterested in this weird film to open-mouthed in wonder, because, you know, Spirited Away. Image from somewhere on Pinterest! 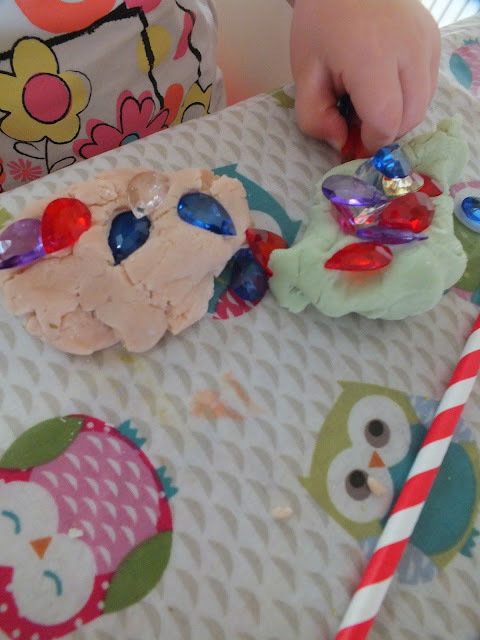 Then we made some ice cream, which was the whole point of the exercise in the first place, and then I had to pick a million little plastic gems up from the floor whilst balancing an emotional and kind of ... drippy toddler on my hip. 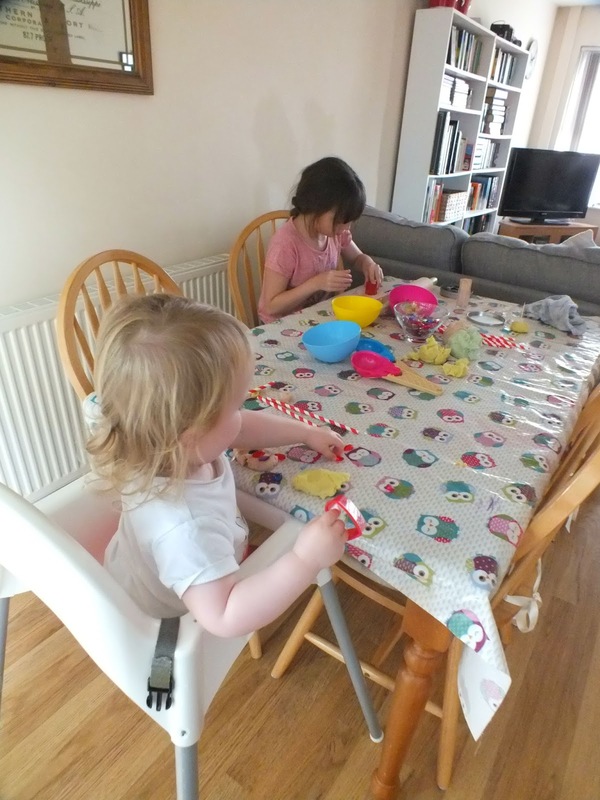 This is what happens in our house when we do crafts: a bit of chaos, a bit of 'MUMMY SAID NO THROWING' and a bit of a break in the middle to watch telly. 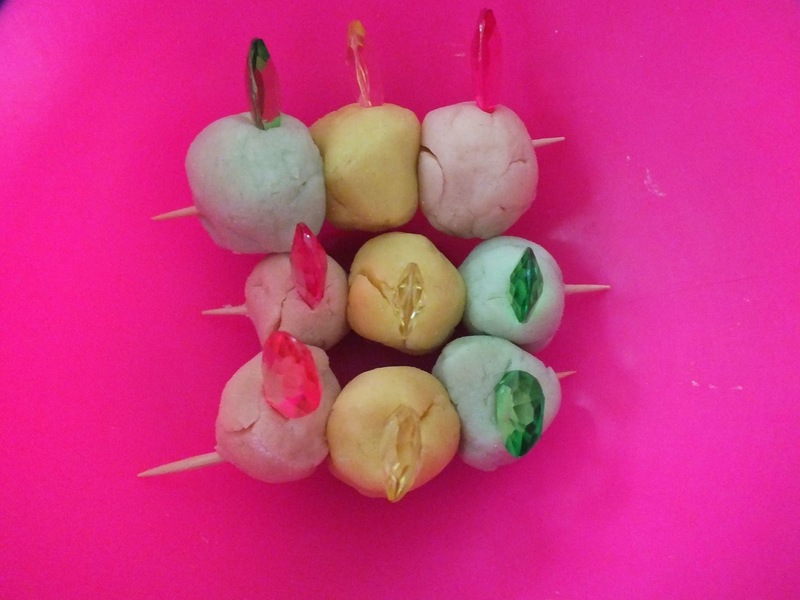 I made the playdough because I've been making it for a while now and it lasts forever when you make a batch (and is also cheap). The best recipe I've come across so far is this one by The Imagination Tree. Takes ten minutes max, and it lasts for six months in an airtight container. I used peppermint, lemon and strawberry flavourings (which I got from Sainsbury's) and their matching colours. 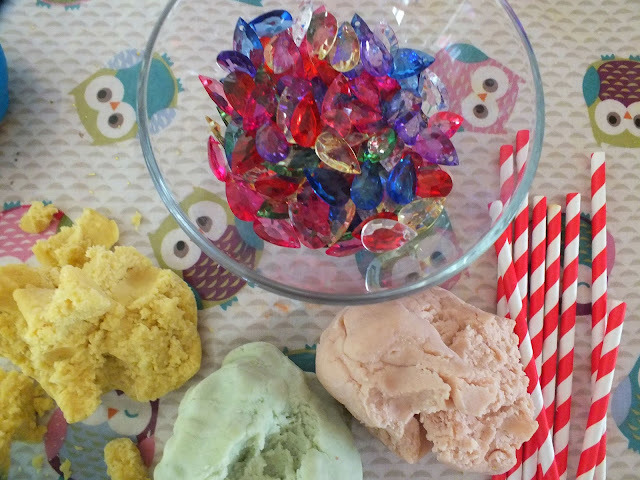 Most of that I just grabbed from the kitchen, making this a fairly inexpensive activity. So there we go. Go break out the playdough! Or at least watch Spirited Away. 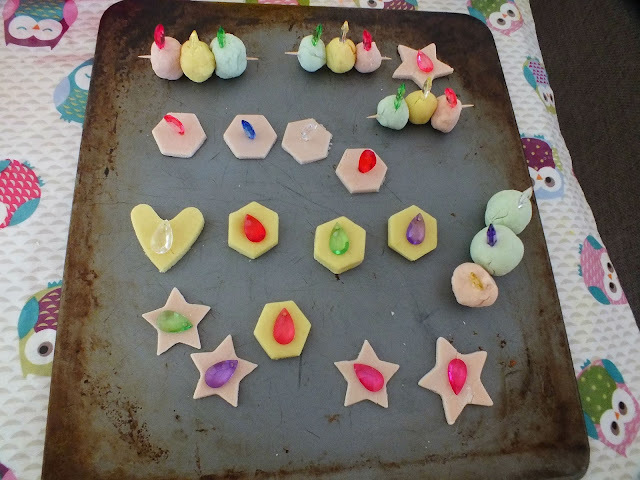 What a lovely idea, and looks so pretty, too! 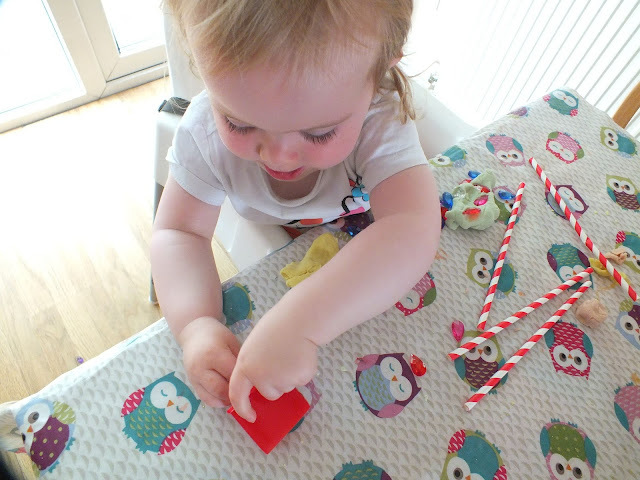 Fab idea to add various bits to inspire imagination and creativity. Thank you :) will definitely do this again in the future.